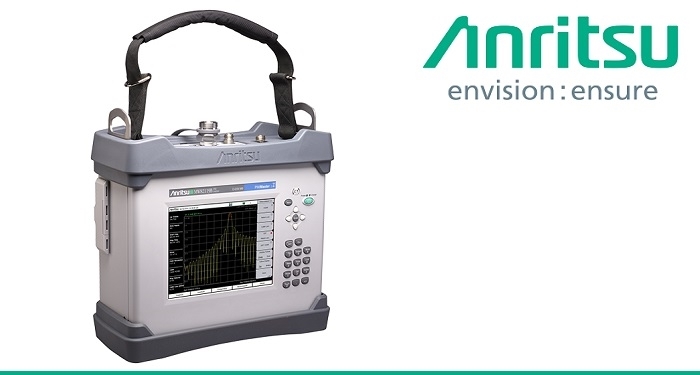 Anritsu has introduced a new 600 MHz field PIM analyzer to verify installation of LTE at 600 MHz cell sites currently being deployed. Leveraging the industry-leading performance of the PIM Master platform, the PIM Master MW82119B-0600, supports 600 MHz PIM measurements generated by IM3 and IM5 products and has a second built-in 1900 MHz-receiver port to measure PIM generated by third harmonic products falling in the 1900 MHz PCS bands. A standard Site Master option is available to provide field technicians with a single instrument to quickly perform PIM plus cable and antenna line sweep measurements. Featuring best-in-class test power, the 600 MHz PIM Master measures RF power with two CW tones from 20 dBm to 46 dBm in 0.1 dBm steps. The high RF power measurement capability makes it easier for field technicians to detect PIM and its cause. All the features and functionality of the 40-Watt, battery-operated, industry-leading PIM Master platform are integrated into the PIM Master MW82119B-0600. It leverages Anritsu’s proprietary Distance-to-PIM (DTP) and has cable and antenna analyzer capability to create a single-instrument cable and PIM test solution. It reduces the number of instruments necessary for field technicians to take into the field, creating greater test efficiencies. The new 600 MHz PIM Master compliments Anritsu’s existing range of PIM instruments, including the PIM probe. Used together with the PIM Master’s DTP capability, the PIM probe speeds precise location of PIM sources on rooftop sites. A large, outdoor viewable display makes it easy for users to see results – even in bright sunlight. An intuitive user interface is optimized for field conditions to make performing tests simple and straightforward. The rugged design and enhanced portability of the PIM Master MW82119B-0600 enables both PIM and line sweep testing at the “top-of-the-tower,” helping operators achieve maximize RF performance from their LTE Remote Radio Head (RRH) installations. Click here to learn more about the 600 MHz PIM Analyzer.